We did not repost the entire newsflash as we don't think its completely appropriate or in good taste. Eh Eh! Before you get the censorship police, we have provided a link to the whole article and you can wince at your own risk. 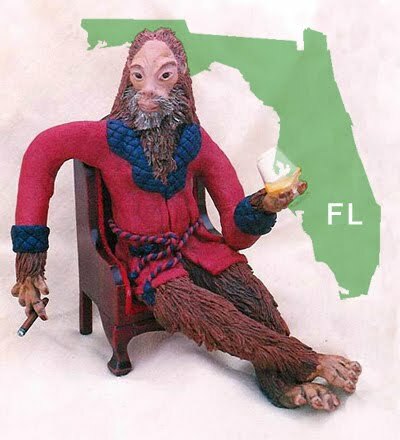 He says there are seven to nine Skunk Apes currently living in the Everglades and right now is the best time to spot one because it’s their mating season. The story continues to talk about how during this time females can attract the Skunk ape so beware.